Thomas R. Klassen is a professor and author who teaches about, and writes on, retirement, income security, and how to ensure students succeed. He is co-editor of The Routledge Handbook of Global Public Policy and Administration (2017). This is a comprehensive leading-edge guide for students, scholars and practitioners of public policy and administration. 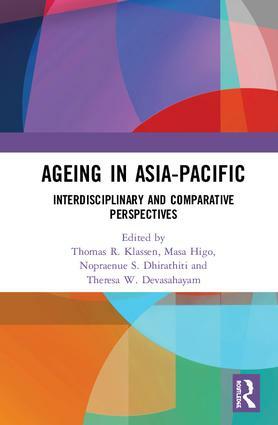 His most recent co-edited book is Ageing in Asia-Pacific: Interdisciplinary and Comparative Perspectives (2018). Also recently published is How to Succeed at University (and Get a Great Job! ): Mastering the Critical Skills You Need for School, Work and Life. Read the FREE ebook version ﻿here﻿. A French language edition of the book was just published. See media story in French here. Based in Toronto, Canada, he travels widely. Click here to visit his website at York University, where he is a professor of public policy and administration.